come with a bridge section, a goblin glider, a taxi and a police atv. 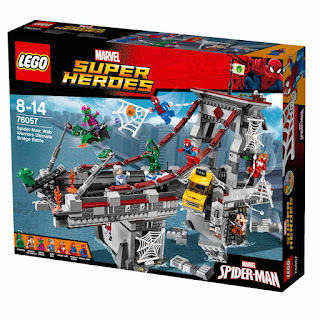 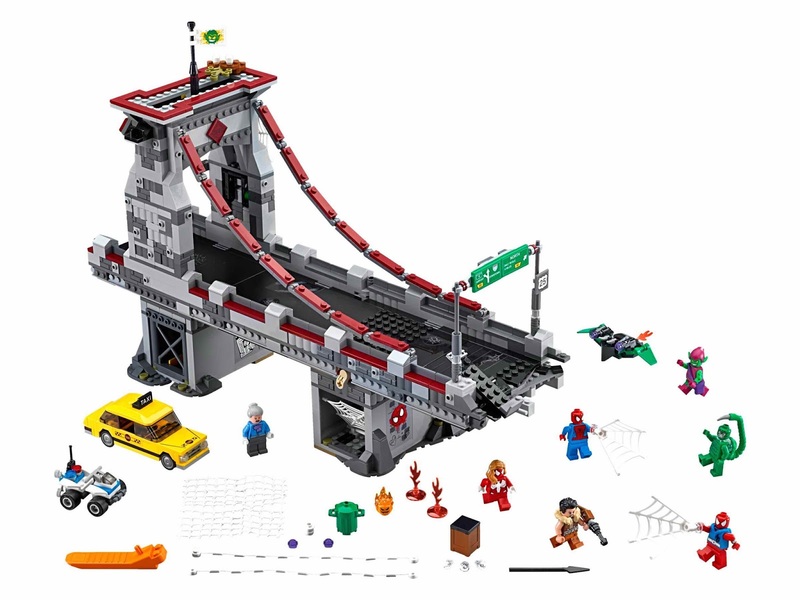 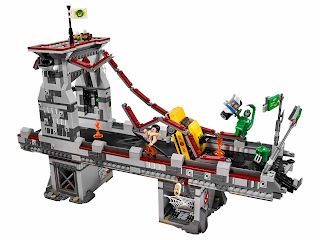 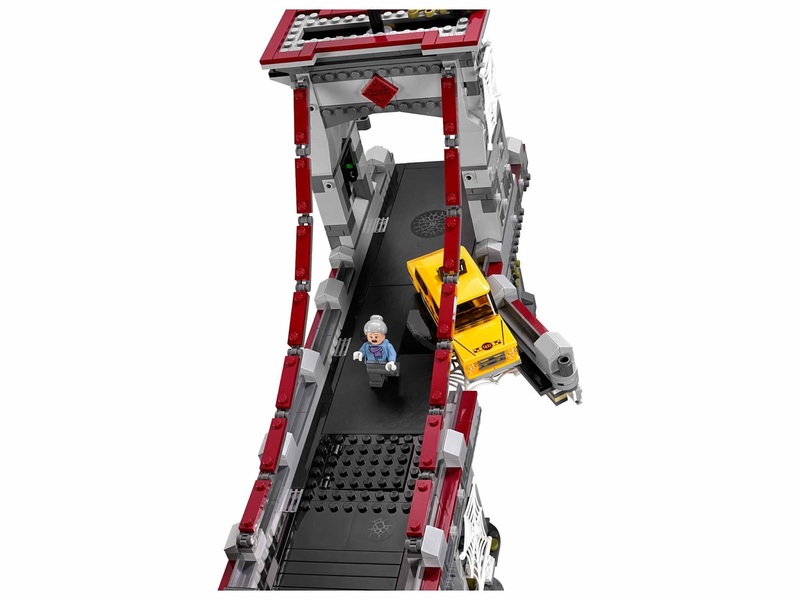 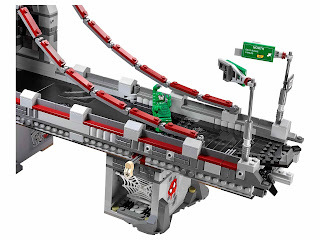 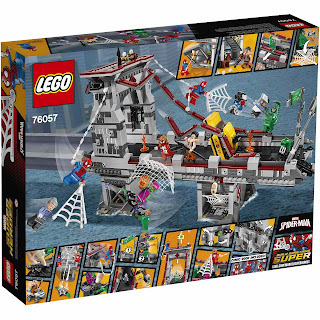 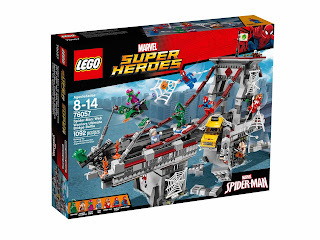 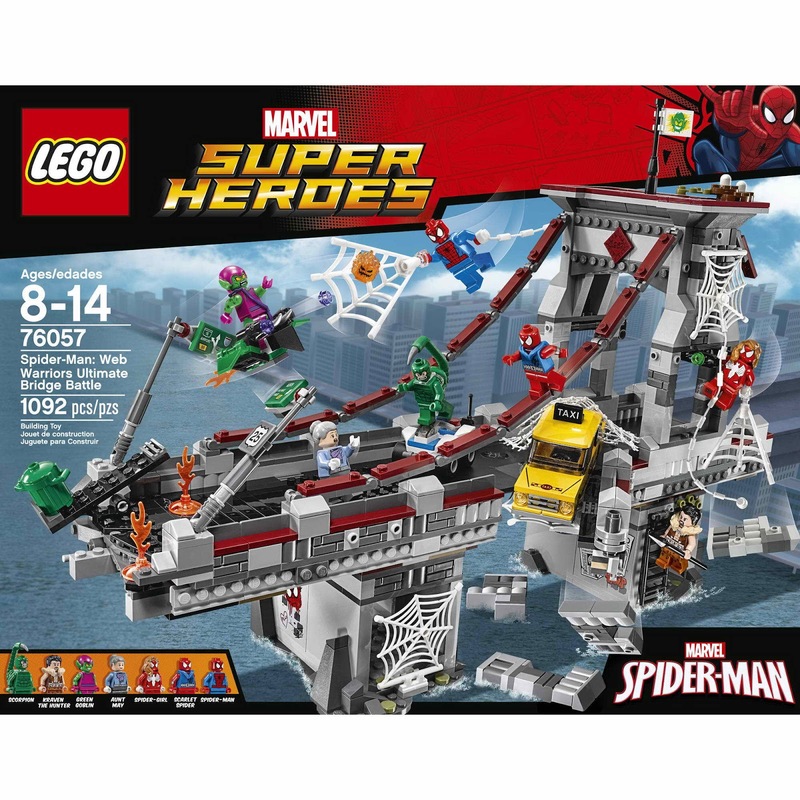 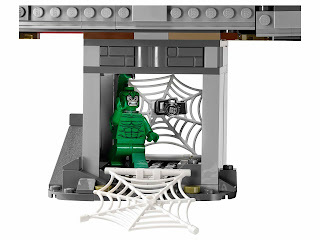 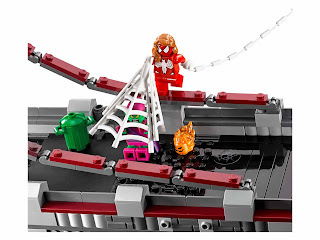 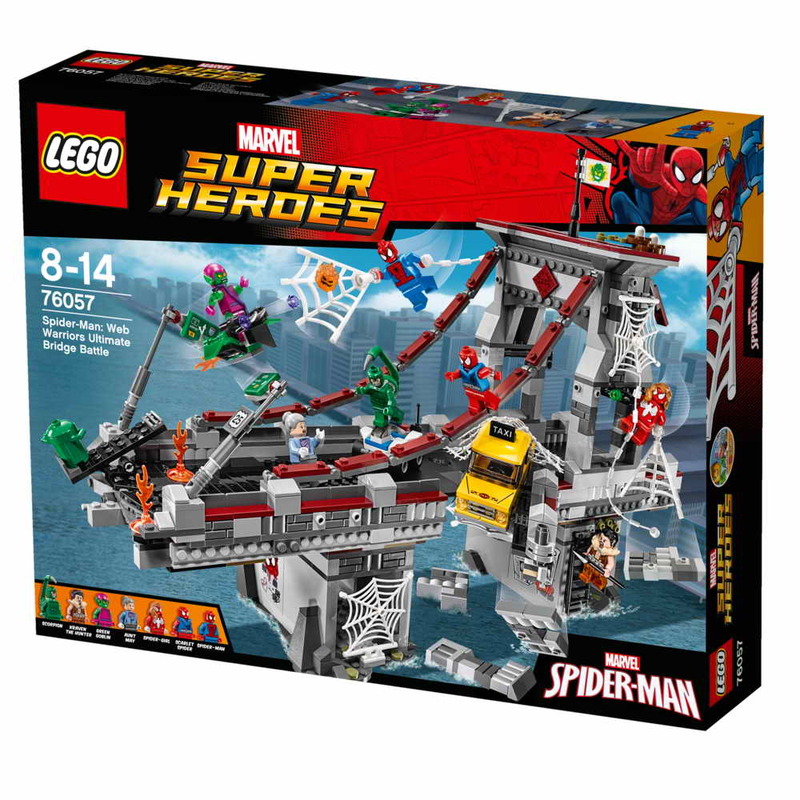 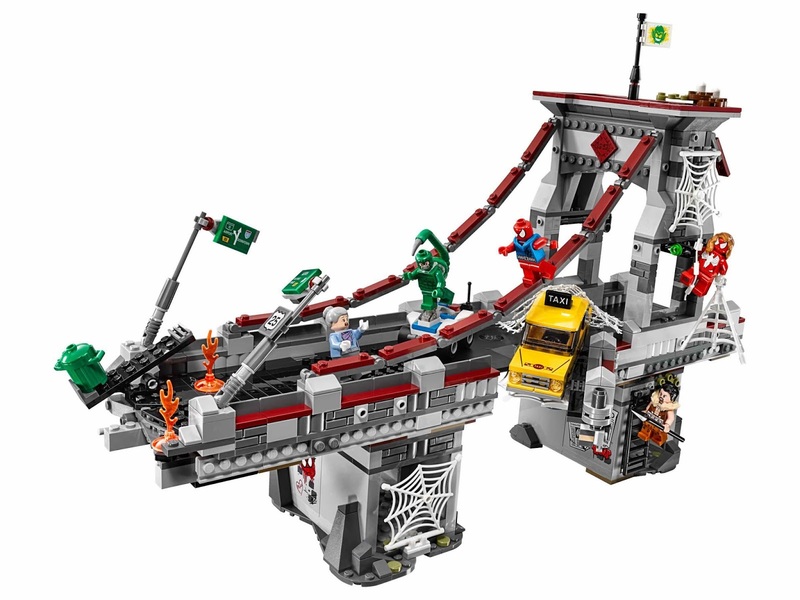 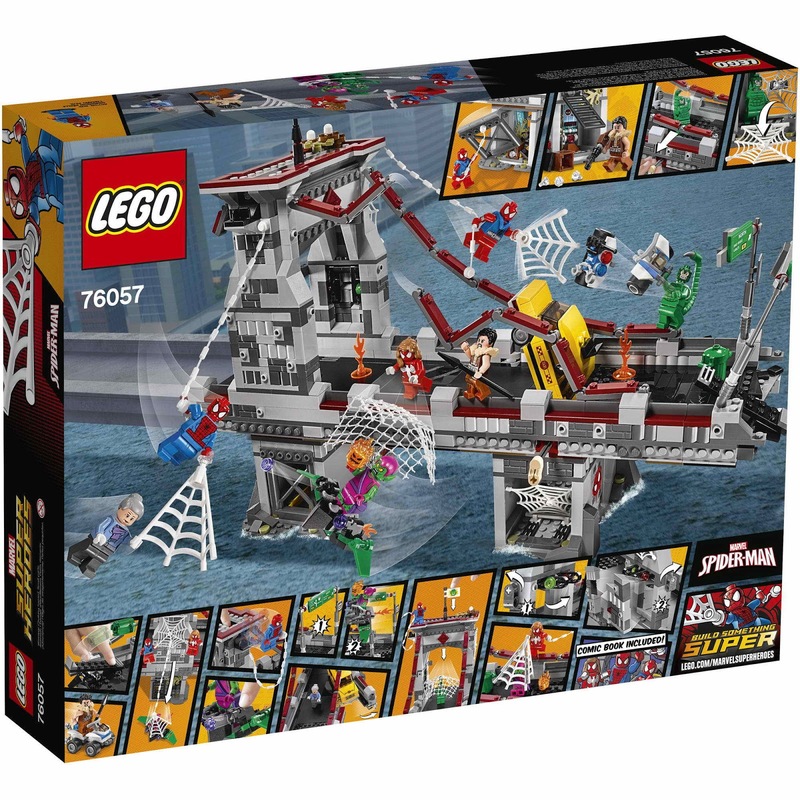 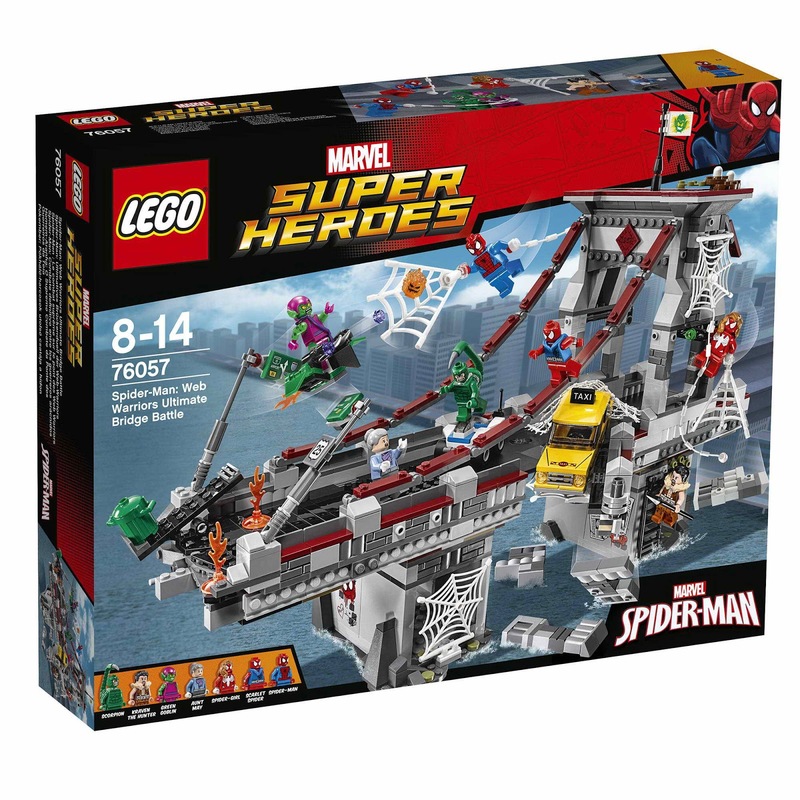 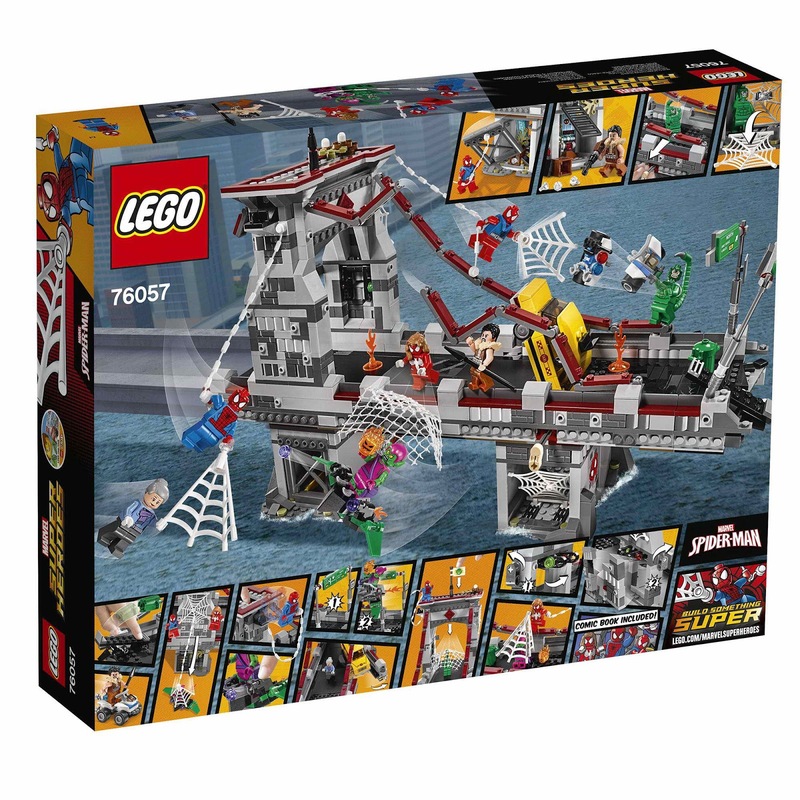 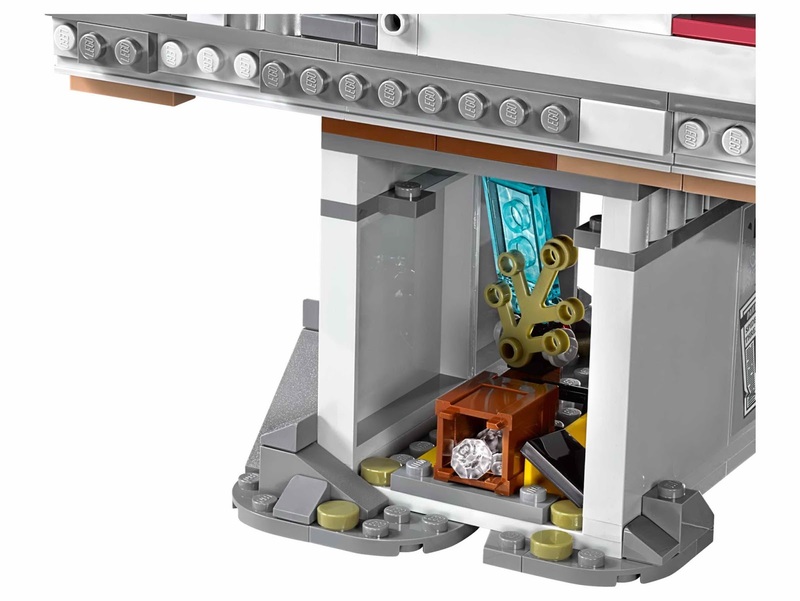 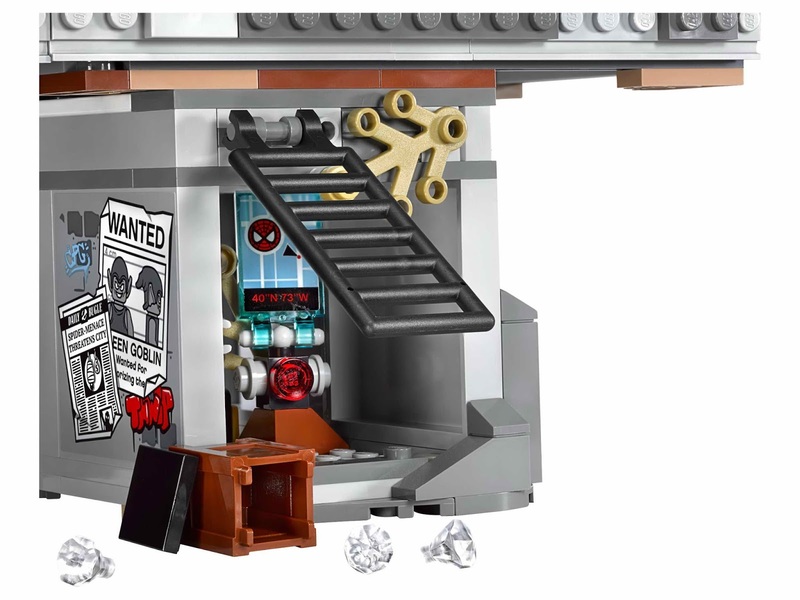 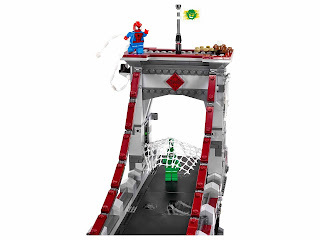 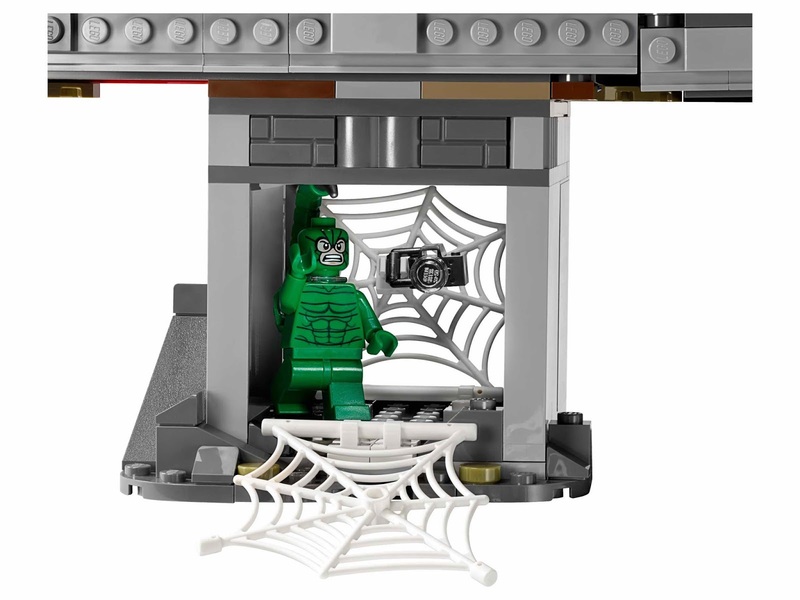 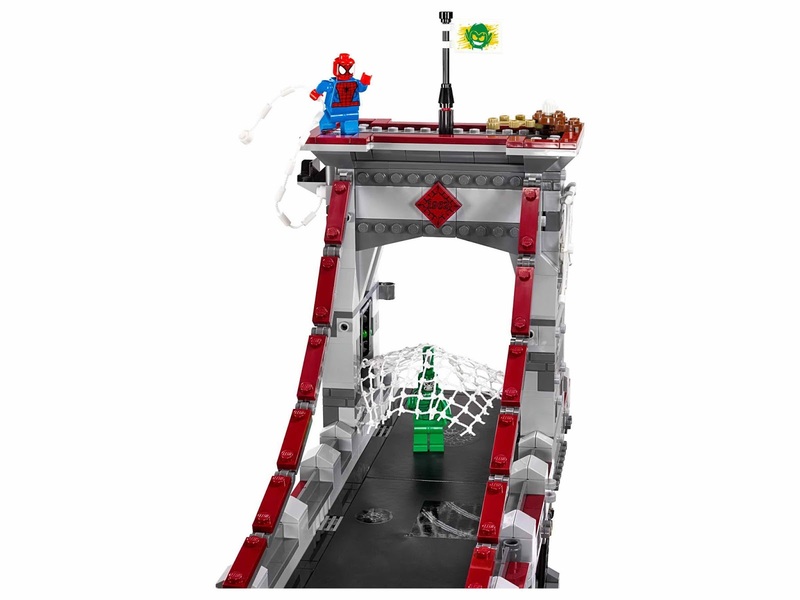 the bridge has a movable roadway, detachable suspension cables, a trash can catapult, a trap door, a spider man's web prison, a kraven the hunter's secret lair, traffic lights, explodable pillars of the bridge and movable signposts. the glider has movable wings and 2 stud shooters. 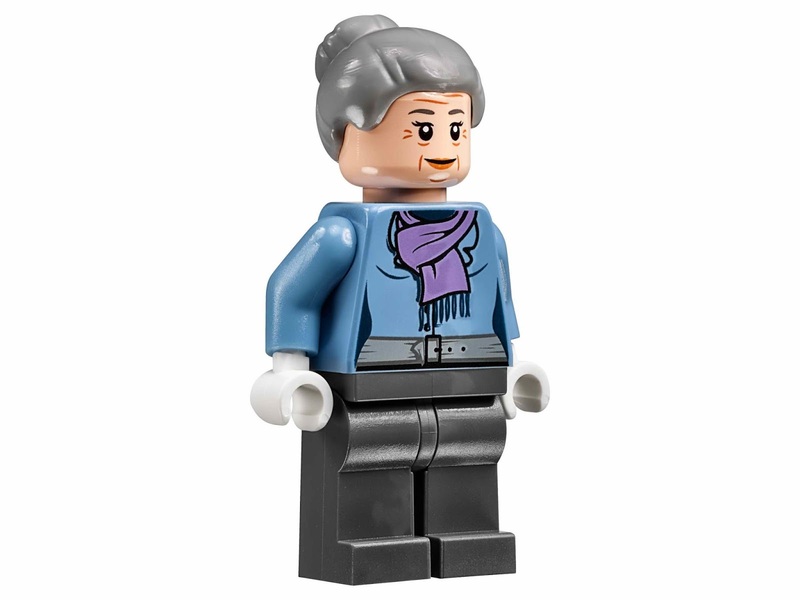 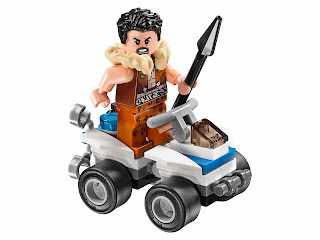 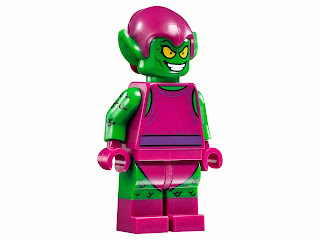 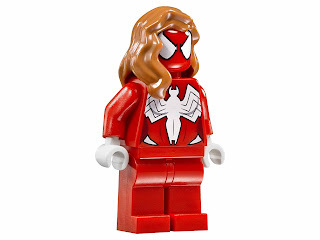 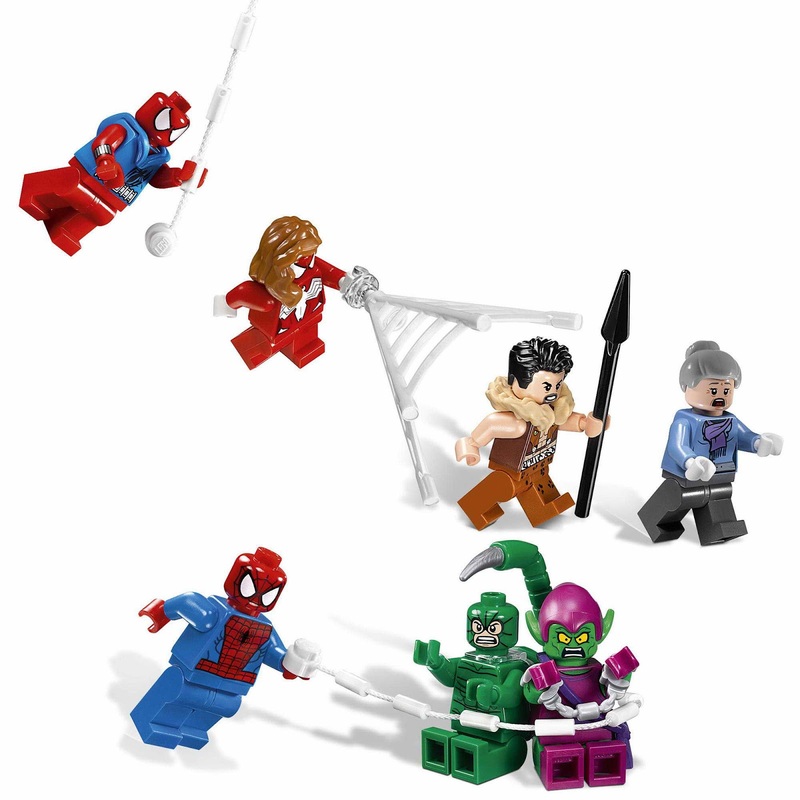 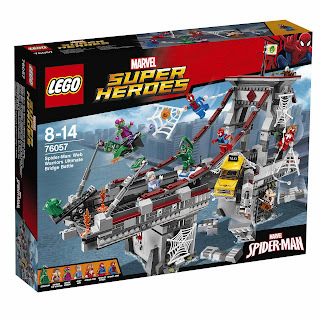 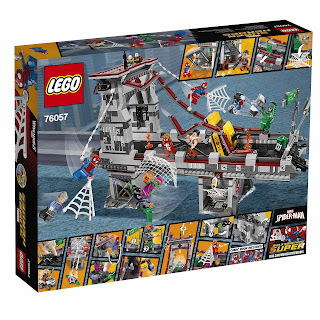 minifigs included a spider man minifig, a spider girl minifig, a scarlet spider minifig, a green goblin minifig, a scorpion minifig, a kraven the hunter minifig and an aunt may minifig.